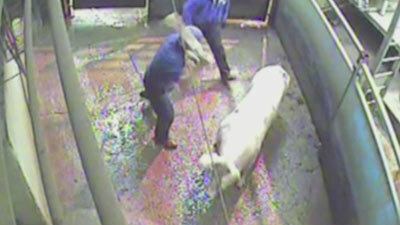 Pigs Abused At UK Abattoir By Staff Punching & Burning Them With Cigarettes. 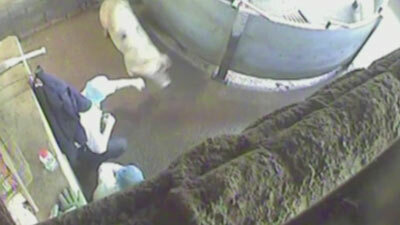 Animal Aid secretly installed four cameras inside Elmkirk Cheale Meats Ltd, an Essex slaughterhouse that claims to uphold high standards of animal welfare. The video shows pigs hit in the face with bats, incorrectly stunned and dragged by their ears to slaughter. The campaign group claims the footage shows widespread breaches of animal welfare law and is demanding the Government takes legal action. 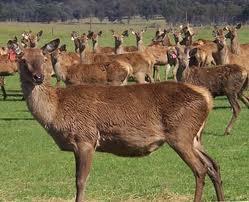 But the Department for the Department Environment and Rural Affairs (Defra) has announced it will not prosecute Cheale Meats, in Brentwood, because campaigners trespassed to obtain the footage. Defra lawyers cited two previous cases of animal cruelty which collapsed after similar footage was ruled inadmissible in court. Sky News has found examples of successful court cases which relied on footage obtained by trespassing campaign groups or activists filming undercover. In 1998, Steve Gills was convicted of beating elephants with an iron bar after he was secretly filmed at Mary Chipperfield‘s Circus. In 2006, workers at a Bernard Matthews farm in Norfolk were convicted of cruelty after they were caught-on-camera hitting turkeys with metal poles. But DEFRA said the circumstances surrounding every legal case are different, including how the evidence was obtained, the availability of other evidence, whether there has been an admission of guilt and whether the evidence is challenged. A DEFRA spokesperson was unavailable for interview but they issued the following statement: “Defra takes the issue of animal welfare very seriously. Where video evidence has been obtained unlawfully through trespass, there is very little prospect of securing a conviction. 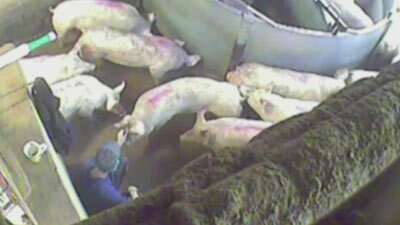 “So far as Cheale Meats is concerned, The Food Standards Agency has not referred the case to Defra’s lawyers for a decision on whether a prosecution should be brought.” Given the source of this material, Elmkirk would not accept that all or any of the activities shown on this video relate to their premises. It is a move that has the backing of UK supermarkets including Sainsbury’s, Morrisons, Marks & Spencer, Waitrose and the Co-op. Sainsbury’s said many of its meat suppliers had already installed CCTV cameras and expected all their abattoirs to be monitored by the end of 2011. The Food Standards Agency says it has revoked the licence of one slaughterman in the footage and increased the level of monitoring at the plant. The RSPB also claims to have secured more than twenty prosecutions after hiding cameras on private land to catch gamekeepers persecuting birds-of-prey. Kate Fowler, Animal Aid’s Head of Campaigns, said similar cases covertly filmed by the group were dropped after there was a change of government. Warning: The link below contains distressing images: The video shows pigs hit in the face with bats, incorrectly stunned and dragged by their ears to slaughter.